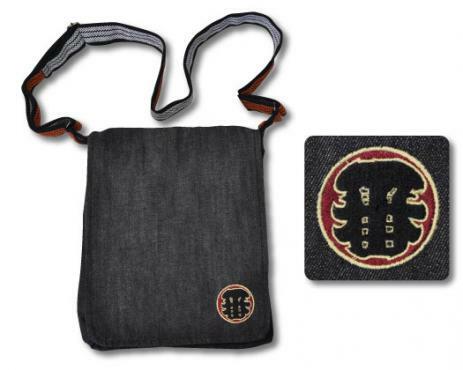 This stylish denim shoulder bag features the kanji characters "ichiban", which means Number 1. This is a popular icon seen on traditional items from the Edo period. It has an adjustable shoulder strap and a handy side pocket, perfect for your phone.